At the start of each new semester, TLInnovations shares a newsletter highlighting recent news and events. 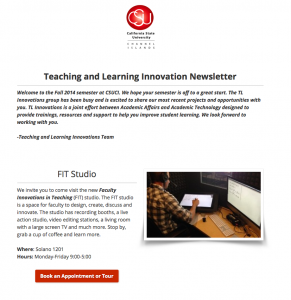 If you missed the Fall 2014 newsletter, check it out by clicking here! Archives of our newsletters are available in the About/Newsletters area of this site.